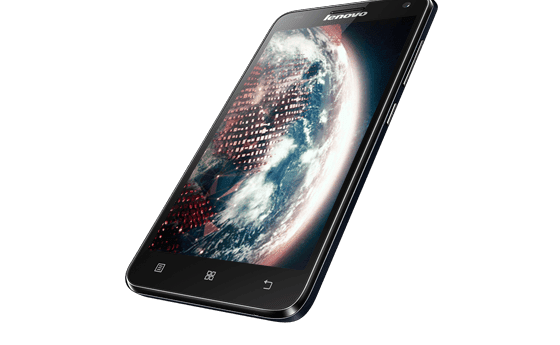 Lenovo S580 is an MTK android device with android version 4.4 KitKat. It is one of the best MTK android devices produced by Lenovo within its peers. In this article, I explain the step by step guide of rooting Lenovo S580 MTK android. Rooting Android, What Does it Mean? Meanwhile, rooting android device is the process of removing the locks on the protected partitions of the android device. Rooting your android device makes it possible for you to perform a lot of activities you might not be able to perform ordinarily on the phone. Any Side Effects Rooting Android? The simple rule to avoid all the side effects is "Do not do what you are not sure of and do not install apps you can't handle". The guides given here have been used to root several Lenovo S580 and confirmed working. All things being equal, you should safely use this method to root any Lenovo S580. 1- Kingroot Application. You can download from here. 2- Internet access. Either Wireless or your phone's data service must be put on. Preferably, a fast Internet access is required for this operation. 1- Go to Settings >> Security >> Unknown Sources and mark it on. This enables your phone to install apps not downloaded or downloadable from the Play Store. 2- Install the Kingroot Application: download and install the Kingroot application from the link above. 3- Lunch Kingroot: lunch the Kingroot application on the phone. Tap the Middle of the Kingroot application and wait until the process is complete. Make sure that you have strong internet access either via Wireless or H/H+. Your phone may reboot before the process is complete, this is mostly caused by poor data service. Simply restart the process again at full lunch of the phone. 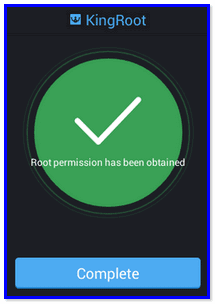 4- Confirm that the Root Access is Obtained: when the root operation is complete, the Kingroot Application will display a round green button with "White Mark" in the middle as in the image below. Before Kingroot application could root the Lenovo S580, it will attempt to install KingUser Application and flash SU Binaries on the phone. Therefore, ensure that you have at least, 50mb FREE Space on your phone's system STORAGE to install the necessary files for the rooting operation.